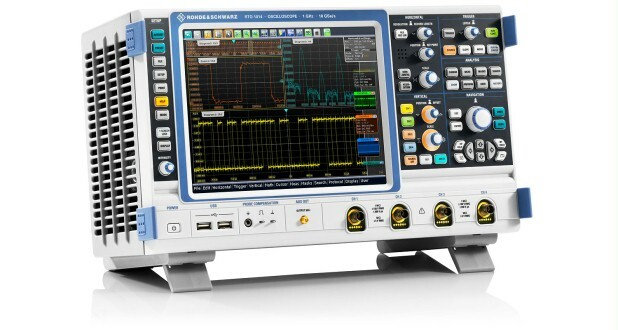 Developers of microcontrollers, audio components and audio equipment can use a new software option for the R&S®RTO digital oscilloscope to thoroughly analyze all audio interfaces, and continue to reap the benefits of this high-performance oscilloscope from Rohde & Schwarz. I2S, LJ, RJ and TDM are serial buses that implement unidirectional point-to-point connections. They carry digital audio data between ICs and are often used to connect analog-to-digital converters and digital-to-analog converters to digital signal processors (DSP) for audio processing. The new option for the R&S®RTO high-performance oscilloscope from Rohde & Schwarz addresses the complex requirements in the development of electrical components equipped with audio interfaces. An extensive selection of protocol-specific trigger conditions provides the user with a high degree of flexibility when trying to detect specific data contents. The R&S®RTO oscilloscope’s hardware-implemented triggers ensure high acquisition rates for fast measurements. Explanatory graphics and links to related settings significantly simplify configuration. Evaluating the test data is also easy. Protocol details in the decoded bus signals are color-coded, and protocol data is summarized. A track function displays the decoded audio signal as an analog waveform. These features allow users to quickly and easily find design problems that cause clipping, glitches and other anomalies.